how can I center my google search result so that they are displayed in the middle of the window and not flushh left like the following picture. How to capture the visible page screenshot in one step in Safari or another browser? 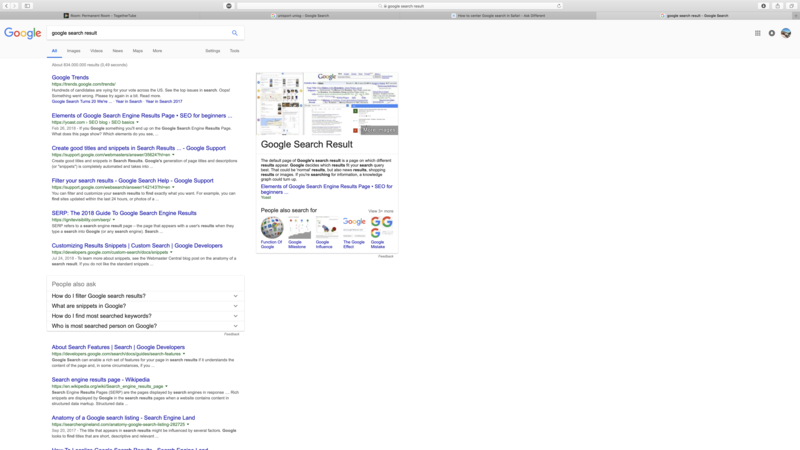 Safari Extension for right click menu: Open in Google Chrome? Is there a vimari or vimium port for safari on mojave?